(Bloomberg) -- Investors are preparing for the release of key clinical-development data at the American Society of Clinical Oncology’s three-day Genitourinary Cancers Symposium, or ASCO GU, kicking off on Thursday in San Francisco. GlaxoSmithKline Plc and partner Johnson & Johnson are expected to post preliminary findings from a pivotal Phase 2 trial studying Zejula in third-line metastatic castration-resistant prostate cancer. Peer Clovis Oncology Inc., which develops a similar drug, reported prostate cancer data back in October. Both Clovis and GSK are trying to broaden the use of their drugs beyond ovarian cancer. Also on Thursday, Finland-based Orion Oyj and partner Bayer AG will post metastasis-free survival data from their late-stage trial in high-risk non-metastatic prostate cancer, following topline results in October. 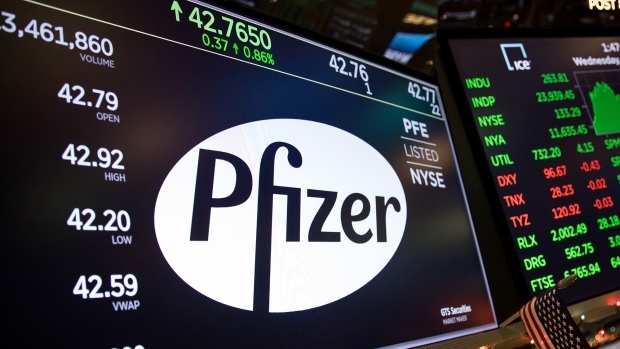 Jefferies analyst James Vane-Tempest sees downside risk for Orion shares if the drug fails to show significant differentiation over other treatments on the market, including Pfizer’s Xtandi and J&J’s Erleada. Nektar’s updated data in urothelial cancer will help investors get a better sense of efficacy for the NKTR-214 combination with Bristol-Myers’s Opdivo. The drug cocktail’s previous update, in melanoma, drew mixed feedback from analysts. While interpreting the results Friday could be challenging due to a wide range of patient followup and time on treatment, Goldman Sachs analyst Paul Choi said he will focus on the drug combo’s efficacy in patients without a biomarker called PD-L1, given the significant unmet need. Choi notes that about 70 percent of patients with urothelial, the most common type of bladder cancer, are PD-L1 negative. In its last update, Nektar said that 60 percent, or 6 out of 10 patients, with urothelial cancer achieved either a partial or a complete response. Both PD-L1 negative and positive patients responded. Also on Friday, Immunomedics will release an update from a Phase 1/2 trial in bladder cancer patients. While investors are focused on the company’s interactions with the FDA, which last month rejected its experimental drug because of manufacturing issues, the data will be of interest to understand whether the medicine can expand beyond breast cancer. Merck and Pfizer are expected to post survival and progression-free survival data from a late-stage combination trial in first-line renal cell carcinoma. The companies previously reported the Keytruda plus Inlyta regimen met the trial’s primary and secondary endpoints. Given the positive announcement of the trial, known as "Keynote-426," the drug combo could challenge the standard-of-care status currently held by Bristol’s Opdivo and Yervoy, William Blair analyst Andy Hsieh says in a note. Results could also weigh on Exelixis, which markets the kidney cancer drug Cabometyx. However, Hsieh notes that a separate poster presentation at the event will show results from a study of Merck’s Keytruda and the Exelixis drug. The analyst points out that Cabometyx has previously shown overall survival benefits in a late-stage study in renal cell carcinoma, and a higher progression-free survival than Pfizer’s Inlyta -- with all caveats of cross-trial comparisons.